The United Nations’ World Health Organization defines health as “a state of complete physical, mental and social well-being and not merely the absence of disease or infirmity.” Health is a major factor that influences the rate of growth and development of a country. There is a vast discrepancy in access to health care and public health initiatives between developed countries and developing countries. In the developing world where public health infrastructures are still in the formative stage, there may not be enough trained health workers or monetary resources to provide the required level of medical care and disease prevention that is necessary to cater to the entire population. In India, though the Government has set up many progressive health programs, the ever-increasing regional, economic and gender disparities continue to pose challenges to the health sector in the country. About 75% of health infrastructure, medical manpower and other health resources are concentrated in high-income urban areas where 27% of the population lives. The people in the rural areas and slums still suffer from ill health due to lack of awareness, inaccessibility of health care facilities and poverty. This is where the non-governmental organizations play a crucial role in reaching out to the masses. 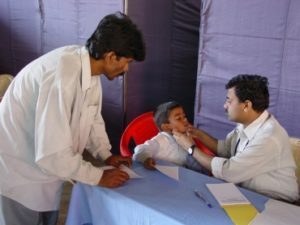 Free medical camps are arranged periodically for the slum dwellers in Bangalore and more than 1500 patients are treated at each camp. – Starting one week before the medical camp, an awareness drive is launched in the chosen slum by putting up posters, distributing leaflets, public audio-announcements and door to door visits. – Free transport is arranged to bring the patients from the slums and drop them back and they are also given a good nutritious meal. – Medical Specialists in the fields of general medicine, surgery, ENT, gynaecology, paediatrics, ophthalmology, dentistry, geriatrics, orthopaedics, oncology and dermatology offer their expertise to the patients. 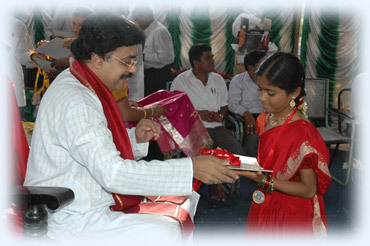 – Basic diagnostic facilities and medicines are also provided free of cost to all the patients. 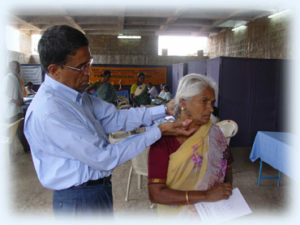 – Free eye check up and spectacles are provided to patients with eye defects. – In special cases where there is a requirement for surgery like kidney transplantation, cardiac surgery, cancer surgery etc., the entire expenditure of the surgery and post-surgical treatments like chemotherapy, radiation etc. are taken care of. 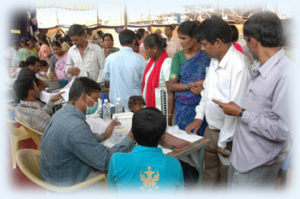 – Medical Camps are also conducted on special days such as World Heart Day, World Diabetes Day etc. to address specific health problems. Public health is the science of preventing disease, prolonging life and promoting health through the organized efforts and informed choices of society, public and private organizations, communities and individuals. 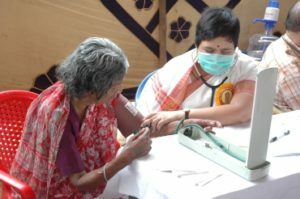 It is concerned with eradicating threats to the overall health of a community by increasing the awareness of all the members of the community. In this context we are engaged in organizing periodical counselling Programs and awareness drives in various spheres of Public Health. Infectious diseases are still the leading cause of morbidity and mortality in India, and Southeast Asia region. Of these, acute diarrhoeal diseases have been recognised as the major threat as nearly 0.7 million children die every year due to diarrhoea. 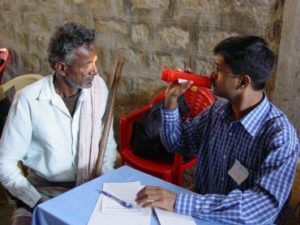 To prevent infectious diseases and increase awareness about nutrition, cleanliness, personal hygiene and sanitation, counselling is provided to the under-privileged, illiterate, rural dwellers and women through appropriate counselling programs. – According to the Seventh All India Educational Survey of 2002, 3% of Indian children are physically or mentally challenged. We organize Counselling Programs for specially challenged children like spastics, autistic children, children with learning disabilities, mentally retarded children etc. to diagnose their problems, counsel their families and route them to the appropriate support and caregiving facilities. – The population of India has swelled to around 1 billion now. We have 2% of world area supporting around 17% of the world population. Also, it is estimated that 2 – 3.1 million Indians have been infected with HIV/AIDS so far according to National AIDS Control Organization, India. Since there is no cure for AIDS, the emphasis continues to be on educating the masses, particularly the vulnerable groups about the causes of the disease. To meet this need, we organize Free Counselling for family planning and HIV AIDS periodically. In all medical emergencies, immediate first aid and quick transport to the hospital can make the crucial difference between life and death. 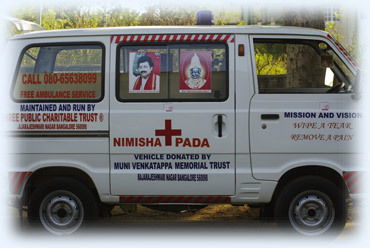 – We have launched “Nimishapada” a 24 hour Free Ambulance Service to provide emergency care for the underprivileged sections of society. 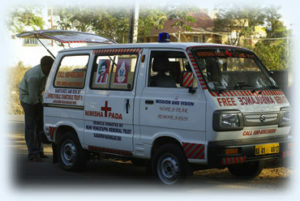 – Another Ambulance has also been donated to West Lions Eye Hospital in Bangalore. Among other things, this collects corneas from pledged donors so that they can be transplanted within the stipulated time limit which is so crucial in corneal transplants.